The Moab Rim Trail is a classic Moab, Utah mountain biking trail because it is exposed, technical, strenuous, and extremely satisfying. 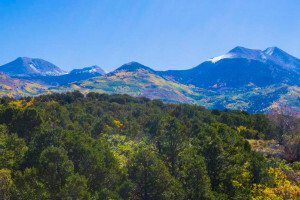 It is also frequented by jeeps, ATVs, and other off-road rigs. Moab Rim Trail offers some of the best views of the Moab Valley and a really fun singletrack section that make the excruciating initial climb, a few sandy sections, and the hike-a-bike technical downhill at the very end of the trail all the bit worth it. If you have extra time follow the obvious spur trail off to the left along the rim to view some very interesting petroglyphs. For experienced riders and off-roaders only! Difficulty: Technically and Physically Very Difficult. This is also one of the most difficult 4x4 routes in the area. You can access the Moab Rim Trail by riding from downtown Moab. There is no real need for a shuttle. 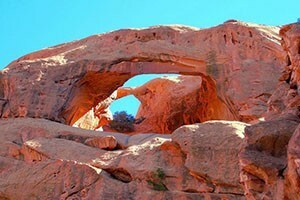 Ride out Kane Creek Road, pass the Moab Skyway, follow the road as if bends left and reaches the Colorado River. 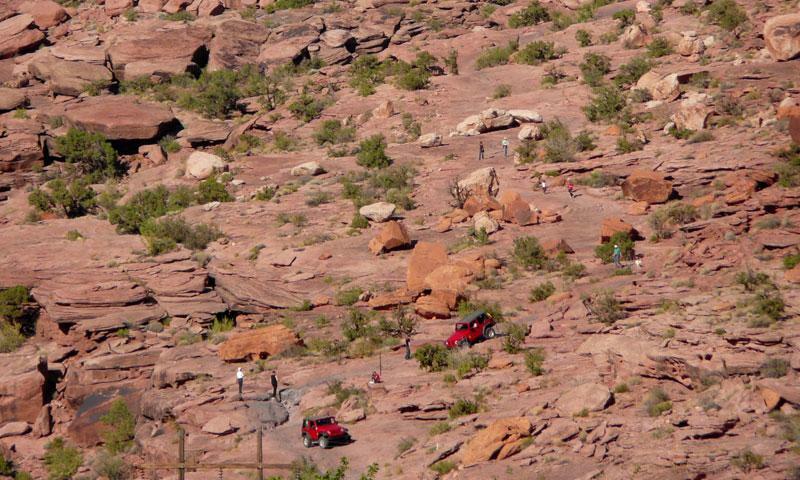 You will see the signed Moab Rim Trailhead on the left. Begin climbing. The end of the trail is south of town on Angel Rock Road. Ride back to town along US 191. Pick up a detailed map or guide book at the Moab Information Center on the corner of Main and Center Streets. If you are new to mountain biking, or to the area, consider Joining a Guided Bike Tour.